Chiropractic care can be extremely beneficial for newborns and toddlers as they develop. Read why you should consider having your child evaluated by chiropractor specializing in pregnancy and pediatrics. 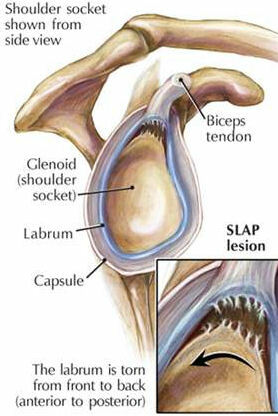 A labrum tear, also called a SLAP tear, is a tear to the ring of cartilage surrounding your shoulder’s socket. This injury is common among athletes participating in sports that involve repetitive throwing or overhead motions, such as baseball and volleyball, as well as football. Labrum tears can also result from a traumatic event, like a fall, and with age due to wear and tear. 1. Deep, achy pain. Pain is usually felt deep inside the shoulder, and is commonly described as an ache rather than a nerve-type or stinging pain. You may feel pain in the back of your shoulder; if the biceps tendon is involved then you may feel pain in the front of your shoulder. 2. Pain with overhead motions. It’s also common to feel pain during overhead activities, like serving a tennis ball. 3. Popping, clicking, or grinding in your shoulder. Popping, grinding, and/or clicking sensations are reported by some patients with this injury. Crepitus is the medical term for these symptoms. 4. Shoulder weakness. Your shoulder may feel weak, and it may feel like it could “pop out” of place.1 Even if you’re an expert in the weight room, a labrum tear can make lifting objects and weights overhead a challenge. 5. Decline in sports performance. Your sports performance may also not be up to par. For example, a baseball pitcher may notice a decline in pitch speed. If you're experiencing any of these symptoms, we strongly suggest getting it evaluated. At LiveSmart Chiropractic, we do a thorough exam and explain to you what is going on and what treatment is best. This is not an all-inclusive list and symptoms do vary from person to person. Let us know if you have any questions and we'd be happy to point you in the right direction. Pain when moving or keeping the shoulder in specific positions. Certain shoulder activities, such as lifting objects overhead, throwing a baseball or hitting a tennis ball, may cause pain. Other causes of pain include holding the shoulder in certain positions. Examples include: extending the arm to lift an object, stretching the arm behind the head or placing the arm in a throwing position. Decline in sports performance. Athletes may notice a decline in sports performance, including a decrease in shoulder power, and could describe a “dead arm” sensation. Reduced range of motion. Patients may find a reduced range of shoulder motion: difficulty with reaching movements, and the inability to throw or engage in overhead activity with the arms. Discomfort when lifting items, particularly overhead. A weightlifter, for example, may feel pain when lifting weights overhead. Difficult to identify shoulder pain. Deep, aching shoulder pain is a widely cited SLAP tear symptom, yet it can be difficult to pinpoint the exact location. Pain is commonly felt at the back of the shoulder; if the SLAP tear includes the biceps tendon, pain may be felt at the front of the shoulder. Locking, popping, clicking or grinding in the shoulder. While these are general complaints that may apply to a variety of shoulder injuries, SLAP tear patients may also cite popping, clicking, grinding or locking sensations in the shoulder. Shoulder weakness. SLAP tear injuries can cause feelings of unsteadiness, as though the shoulder will “pop out” of its socket. Pain when sleeping on either shoulder, but more specifically on the opposite side of shoulder pain. 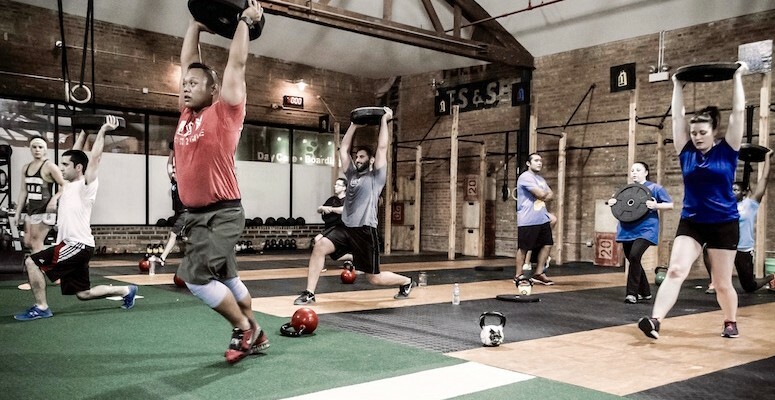 CrossFit is an increasingly popular fitness workout that continues to grow by the day. Living in San Diego, the active lifestyle we're accustomed to translates well into this. If you’re one of Crossfit’s devotees, then there are a few things you need to be aware of in order to stay healthy. At LiveSmart Chiropractic & Rehabilitation, we see a lot of injuries associated with these exercise routines and injuries you need to be aware of. Here are some of the most common and how you can avoid them. Lower back injuries – It only takes one wrong move, poor form, or heavy weight to cause an injury in the lower back. From muscle strains to more complex and serious intervertebral disc injuries, the best way to avoid this type of injury during CrossFit is to make sure you’re practicing the best form and that your body allows for that. Many factors play into this, but one we see most often is the lack of thoracic (midback) mobility. By seeing us, we help keep your spine moving well in the areas it needs to and we give you exercises to help throughout the day, including your workouts. Neck injuries - Neck pain is one of the most common injuries we see and treat from CrossFit workouts. Often, it is from fatigue and overuse that leads to a strain in the muscle near or in the neck. Always be careful, however, when dealing with neck injuries. More severe complications can arise from the spine. If you ever feel numbness, tingling, or radiating pain down your shoulder and arms, get your spine evaluated immediately. Many overhead exercises in CrossFit can potentially cause injury to the discs between the vertebrae and it's important to begin rehab immediately if indicated. Knee injuries – Your knees perform a variety of functions and they’re placed under a lot of stress during Crossfit exercises. Heavy weights combined with the need to practice good form to keep the rest of your body healthy can actually be really tough on the knees. Often times, many dysfunctions come from the hip and if not properly addressed, result in knee pain, ankle pain, and ultimately, back pain. Make sure you have even the slightest of injuries looked at by a good chiropractor to keep these joints healthy and prevent future injury. Shoulder injuries – In Crossfit, rotator cuff injuries are very common. This can lead to injuries called shoulder impingement, labral tear, tendonitis, ligament sprains, and muscle strains amongst others. if you have any popping, clicking or feeling like something is "catching" when you try to raise your arm over your head, get it checked out. Don’t try to simply work through a shoulder problem. Be proactive and get it checked out. The investment short term, will yield long-term benefits and results. Wrist injuries– From rowing and pull-ups to burpees and snatches, CrossFit puts the wrists through the extreme stress. These joints must retain mobility and flexibility, but strength as well in order to keep injury away. Pain often translates from the elbow or muscles of the forearm so get your wrist checked out if you suspect any injury. Elbow injuries – A common occurrence in Crossfit is a pain in the elbows when lifting. This can be due to improper form or simply over-use. Get elbow pain checked out as soon as you can to avoid any serious complications. This is by no means a comprehensive list, but some of the most common injuries we see and treat successfully in our office. Your best resource in preventing injuries related to Crossfit is your chiropractor! It might be tempting to work through the pain, but you may be doing more damage to your body. Let us know if we can help you stay active and keep your body healthy and working out at its best! So many families benefit from routine chiropractic care. Kids stay healthier, perform better, and recover better.